Small non-profit organizations achieve a great deal with limited resources, volunteer boards, and small staff. Each staff member quickly becomes key, and succeeds by multi-tasking, and networking. The embedded knowledge of such staff gained over the years ? who they know, what they know, and how they know it ? is lost when that person retires or moves to another job. It may be months or years before someone new is hired, and he or she then has to recapture that embedded knowledge, or re-create it. 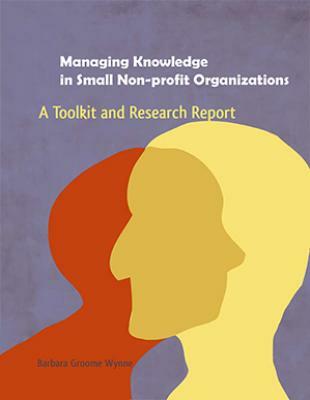 Author Barbara Groome Wynne offers way to retain, manage and transfer that knowledge which is key to small non-profit organizations. Using research done with numerous such groups, she has created Toolkit sheets which can capture an organization?s explicit knowledge ? e.g. its documents, databases and processes ? plus the organization?s tacit knowledge, which is the experience, wisdom and intuition of its staff and board members. This book will save years in unnecessary learning curves and duplicated efforts, and help new staff become effective quickly and easily.